The results of orthodontic treatment can be dramatic beautiful smiles, improved dental health and an enhanced quality of life for people of all ages. Orthodontic problems must be diagnosed before treatment begins. 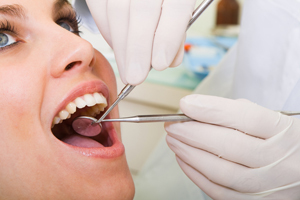 Proper diagnosis involves careful study of photographs, x-rays, and dental impressions. Treatment typically lasts from 6 to 30 months, depending on age, and the severity of the orthodontic problem. Outstanding results are also highly dependent on maximum cooperation and coordination of care between you and our practice. Our Orthodontist are committed to delivering the best possible service in order for you to achieve your orthodontic goals. What’s the Right Age for Orthodontic Treatment? All children should receive their first orthodontic evaluation by age seven. This allows early identification of potential problems. Certain orthodontic conditions are also best treated at this age. Full braces are placed after most of the permanent teeth erupt, generally age ten to twelve. Adults are also prime candidates for orthodontic treatment. The timing of your treatment is VERY important; a consultation with Irvine Orthodontist will allow us to better understand your needs. Please contact our office if you have any questions.